WELCOME TO WOODSTOCK PROPERTIES, INC. Your Hawaii Full Service Realtor Specialists - the right choice when you need a professional to buy, sell, rent or manage your home. Woodstock Properties, Inc. was founded by Linda C. "Dusty" Woodstock in 1990. Woodstock Properties provides professional real estate services with the Aloha spirit to buyers, sellers, owners and tenants. We currently provide property management for over 200 properties on the island of Oahu. With our team of experienced real estate professionals Woodstock Properties, Inc. is able to offer a full line of real estate services. What sets Woodstock Properties apart from all other Real Estate companies is that Dusty is a Real Estate Broker, a Property Manager and an investor. As an owner/investor herself, Dusty knows the formula for financial success through responsible investing in real estate. With her staff of seasoned professionals, Dusty approaches all the properties as if they were her own, with detailed attention and care that result in the best outcome for everyone. Buyers, sellers, investors and tenants all appreciate her broad perspective and knowledge base gleaned over the many years of her career. The strategies we employ in the management of investment properties include thorough annual property inspections, emergency maintenance services, as well as a team of skilled and vetted repair vendors which, in combination, ensures we maintain the quality of the homes that we manage. The property management staff has years of experience and along with the company's computerized systems can address tenant and owner needs rapidly. An extensive market survey is completed before any property is offered as a rental. Current market trends are analyzed by our real estate professionals, therefore both our owners and tenants are assured each property is fairly priced and accurately reflects the current market. We diligently manage each property so that our tenants enjoy a beautiful property at fair market prices. We are proud to say, and our tenants appreciate, that we do a white glove Check-In inspection when we hand the keys over to a new tenant. 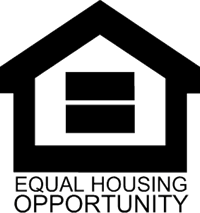 Over the long term, homeownership is an investment in your future. Let Linda C. "Dusty" Woodstock meet your family’s needs while navigating local market conditions. Need to downsize? Move closer to your grandchildren? Are you raising a family and need a larger home? Want to move closer to work or school? Because real estate transactions have become increasingly complex, you will need a realtor with experience, training and a commitment to the highest professional standards and Code of Ethics. 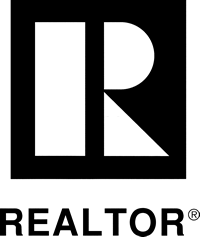 There are over 1 million realtors in business today. So, if you want to find that 1 in a million realtor, start with the nation’s top professionals. Only a very small percentage of realtors have achieved the stringent requirements to list the many professional credentials so proudly displayed after the name - Linda C. "Dusty" Woodstock. Whether you are a buyer, seller, owner, investor or tenant, Woodstock Properties, Inc. is the right choice to provide the professional assistance you need. But don't just take our word, please read our client comments.